To hype the release of the first full length Aquaman trailer at San Diego Comic-Con 2018 last week, DC Comics released this super photoshopped Aquaman “Home Is Calling” one sheet teaser movie poster. While the trailer was awesome and surpassed everyone’s expectations, this poster seems to have missed the mark with comic book fans and movie aficionados alike. As ho hum as the teaser poster is, the trailer was equally breathtaking and mesmerizing. 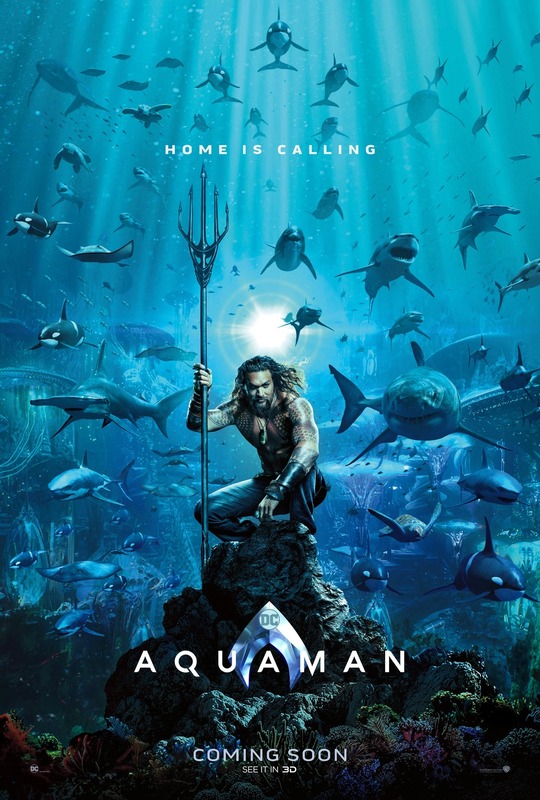 I can’t believe DC is actually making a believable undersea adventure!